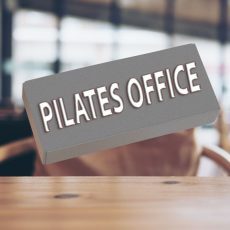 If you like to write for annabellei.com/pilates pills and promote your own site, you’re more then welcome! I would love to have your articles on my site, and I’m always looking for new authors. Guest Blogging? Guest post? …The answer is: Yesssss! You can write about the wellness and fitness world, about pilates, about sport activities, nutrition, fitness, health and your article will be posted on my website. Please only submit articles that relate to the concept and mission of the blog, it’s all about Well Being, and how to help people in reaching wellbeing. If you want to write a review about a product, please send me an email. I will make sure it doesn’t go in any way against our policy and that it’s not already posted in my website reviews. For all other topics, it’s ok to just send us the completed article. You can add link to your articles as long as they are benefiting my readers. The moment those links are for the sole purpose of linking up keywords to boost SEO or to plug a product or brand name, they will be removed. Please submit your finished article to annajah1@gmail.com as an attachment in .doc, .docx, .rtf . The word count is not critical, but posts should typically run between 250 and a maximum of 800 words. If you want specific images in your article, send them as attachments. Since contributors are not compensated, I’m giving them some space in the byline: write a short bio (2 or 3 sentences) that includes a link or two to whatever you’d like to promote —website, social networks, etc. 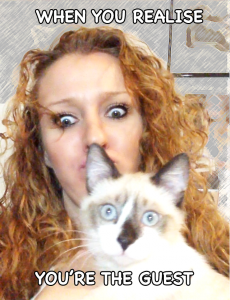 and send us your headshot in high resolution. Writers will receive a digital link to promote their articles through email, websites, newsletters and social media. And their articles will be shared as well on my social network, to help in reaching the maximum number of people. All material is considered on speculation, which means: simply submit your article I will review it and let you know if they’re published. Once this happens the rights to the content is no longer of the author, but only of Pilates Pills Blog. The articles submitted must be unique and original. We do not accept posts that have already been submitted elsewhere online or that you plan to distribute to other websites. If you have written an article for your own blog or website you should do some basic rewriting/summarising and then submit to us. Any time someone comments on a article you wrote, I will inform you and I’ll kindly ask you to to respond to the comment. By submitting material for publication, you grant Pilates Pills its subsidiaries, affiliates, partners, and licensees use of the material, including your name, hometown, and state. It may be modified, reproduced, and distributed it in any medium and in any manner or appropriate place. You may be contacted via phone, email, or mail regarding your submission. Dear Guest Writer, I’m looking forward to working with you and grow together!